No matter how smart search algorithms are, links yet remain the important criterion for site ranking. They increase your company presence on the Internet, brand awareness and cooperation with neighboring types of businesses or thematic portals. Over the past years, it has been created, developed and tested a variety of link building methods, These strategies demand big financial and time expenses. They usually do not bring a quick reverse effect but are affect SEO and internet marketing. Let’s check some of them. Create your own database of high-quality images and videos. Such tactics require a certain budget to pay for a professional photographer, graphic artist, videographer, as well as for the technical support. After creation of your own photo or video, base looks for authors and bloggers who potentially need quality illustrations or videos. The win-win proposition is what you need to do. Quoting your site as info source raises its credibility. Another strategy in the context of creating a video database is the formation of product and brand database. Video content is a big advantage for the conversion moreover, it can be published on partner resources, referring to the parent site. Revive old contacts and update links. There are many pieces of content that are always relevant. Obsolete blog posts, historical information, a variety of instructions and descriptions at first glance have lost their freshness and novelty. But they have not lost their practicality and usefulness. For sure, one of authors or bloggers has published such material, and it’s not difficult to find these older pages. Contact site owner and arrange publication of updated information with putting links to relevant pages. To increase chances of links renewal and updating, offer a nominal fee for the content. But be sure to thank the author for initial references to the brand and offer assistance in the page updating. Publish the interview. The interview was one of the first advanced link building strategies, used in particular for the promotion of young websites. By placing interviews regularly, you can achieve a high citation from the media, as well as from specialized internet portals. In other words, along with the traditional sections “Comments”, “Articles”, “Blog”, create a column “Interview with the experts”. Create a blog for visitors. Create a discussion platform for authors to publish their guest posts. It could be one of the profitable linking strategies.Attract the attention of authoritative experts. As a result, a site gets a unique and useful content, author’s subscribers share the content, enhancing site credibility. Traffic becomes targeted and more unique. Writers and publications always give a backlink to their jobs or information source. Using Followerwonk you can find bloggers and writers who write exclusively in their fields. Generate and distribute your content. The visibility of the brand directly depends on links to the website. Distribute content through the company pages on social media. Publish such texts on the social networks, create YouTube channel, share presentations in Slideshare. Implementation of this strategy on a global scale will attract experts and potentially target people who have not yet decided to purchase. This SEO link building strategy allows you to raise brand authority, and also people can recommend your company their friends, sharing the link. To realize this strategy you need to create content on the basis of keywords, distribute it where it is possible and appropriate, write about “usefulness” in social networks and create a post in your blog. Increase Google+ citation index. When you share a Google+ link, its anchor becomes the page title. This means that the more publications have the post, the more credibility parent link gets. So, to lead a campaign, start with the integration of Google+ button to your content. Google+ is a microblogging platform – use it for its intended purpose, show that your brand is active in this environment. When your friends will begin to repost content, add links to landing pages. It is important to know that determining the post authority in microblog, only those links that are divided inside the microblog are taken into account. Any external links that you add outside the system do not give weight. Uploaded images do not raise link weight as well. Repost viral messages on social networks. When reposting, one should remember the “good manners” and specify the original source. The essence of this tactics is to use proven viral messages. Creatively edit the content, add it, for example, in your blog or social networking page, put references. Study the competitors’ behavior. 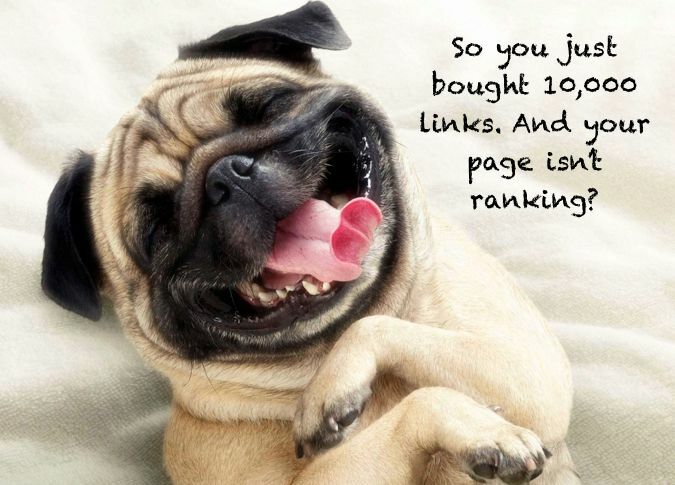 Maybe it’s the most important SEO linking strategy. Knowing where the competitors get links, you can adjust your promotion strategy. To check competitors’ backlinks, use Ahrefs, Majestic SEO or other services. Create a list of domains, ranking them according to the difficulty of getting references. Assume competitors’ promotion budget and choose the list of sites, desirable to cooperate with. Manually analyze donor sites, possible connections, and constitute an offer to the webmaster. Consider content marketing as a mean. If you’ve invested in creating quality and useful content, make effort for its network promotion. After all, the more people read your texts, the greater the probability of traffic growth, target audience involvement and conversion rate increase. Search for “professional linkers”. Surely, you have met people who are happy to like, share links and content on social networks and on their blogs. Therefore, the first and rather simple version of the content spread is the search for such people in your field. Identify users who shared the content of your competitors by using Topsy service; regular search allows to find people who actively share links and content on Facebook, Google+ and other social networks. Paid advertising on social networks. Paid services in social networks allow to set up issuance only to the target audience. Participation in discussions. This is the easiest way to promote content and get links: participate in existing thematic discussions on the forums, leave comments on blogs, social networks and so on. Internal linking. When your blog has a lot of materials, refer to earlier positions on the page of your services and put links from the most visited pages to the less visited. Provide answers to the questions to get traffic from LF queries. Some people use SEs to find answers. Publish answers on your blog. Create a branch on a thematic forum and place answers with backlinks the site. When using this tactic it does not necessary to specify a hyperlink – just leave a brand name or email. Set up Google Alerts for your brand to know which websites and blogs cite a brand name or the content of your website. Use Topsy for monitoring of brand name mentions on Twitter. Hold monthly monitoring of new publications that contain links to your site. Check whether there are sites that have links with the wrong URLs. Use GWT to analyze inbound links on the subject on non-existent pages: they all must correspond to 404 error. If not – fix it. Take username, which is associated with the brand name and easy to remember. Stick to your point of view. Impose the opinion on other market players. For example, place a review of a new product and point your opinion. Make sure that avatars emphasize users’ belonging to the company. Best link building strategies 2018 is about focusing on usability and usefulness of the content, setting links only from and to high-quality resources. At the same time maintain a balance in their amount, guided by common sense. If the link can be useful for the visitor and increases your content weight – put it on the site. Make your site scalable. Do not link to unproven resources that can place spam content. And of course, check all links to work (i.e. they must refer to an existing site or its homepage). To promote any site it is important to identify resource theme, have a minimum of anchor links, good dynamics, and naturalness, provide diversification. Sure, you should not just buy links, but to create a resource that will be referenced by the maximum amount of people. As practice shows, even in case, you create a site that contains mega informative and useful content, it’s impossible to get the desired result without its active promo campaign. Use different links types. Google Penguin algorithm easily determines the same type of reference weight, and you’ll get sanctions. Identify thematic platforms. The logic is quite simple: you find related sites which are ranked according to your needs, you place the article, and it quickly goes to the top. So, you get high quality link and transitions to the promoted site. Similarly you can monitor competitors and find resources on which they place reviews. Analysis of competitors. By it, you can see what competitors are doing and emphasize on some key points. Take the top 10 sites on the most weight-providing requests and analyze them in Ahrefs or other service. Pay attention to such things as domain rank and references types. You can automate the process, but as practice shows, it’s better to make analysis manually and estimate the strategy needed. Analyze not one, but the top 10 or even top 15 sites to understand the real situation. Presence of sites on exchanges. To automate process, you can unload API, or just parse all the sites of the exchanges. Make a script that will detect sites on exchanges. Finally, pass to these sites, where you can post backlinks. Get links from the top sites. Such platforms are easy to find as they are in top on your promotion queries. But it’s not so easy to get backlinks, as applying this backlinking strategy, you have to communicate with each donor manually. How to build a perfect backlink profile? Find answer s of following questions: what method should be emphasized, what works best, what link building strategies are the safest? It’s quite difficult question, and no one can give you definite answer. There are too many factors to consider. LinksManagement can help you, providing DA40-DA100 backlinks to your site. Many people use our service, and to the present day we have no dissatisfied clients. 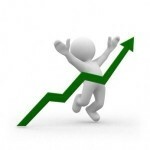 Quality backlink building increase site traffic up to 10,000-30,000 visitors/month in short term. Anyway, site promotion is a never-ending process, because there are very few who reach the limit. Earlier, social networking was something like children’s entertainment, a trend or a fad, which should not last long. Only a few of them got to the top and now involved in advertising. 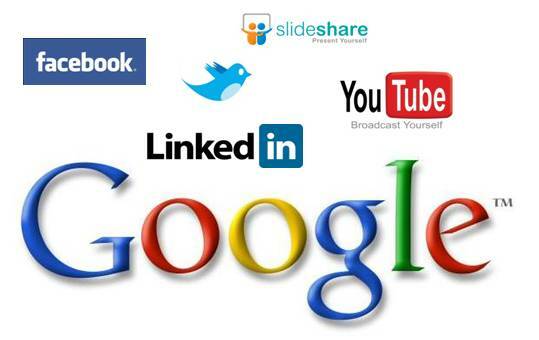 Facebook, Twitter and YouTube are now considered as cornerstones in the majority of SMO-strategies of large companies. According to Booz & Company and Buddy Media, Facebook is the favorite site for 94% of respondents, Twitter is the second – 77% of the vote, and YouTube is the third with 42%. Is not surprising that social networks are used for advertising and promotion of products and services. About 40% SEO-companies reported that social networks on par with the search progress are included in the issues on the agenda. But despite the popularity of social networks, such references are not indexed and don’t transmit weight. Social work is performed to attract target customers and increase attendance. So, even billion links from social networks will not affect the promoted page ranking. Strategic link building on social services may have an effect on the topics related to the daily life of the people, entertainment and other social themes. However, it should be remembered that each resource requires a separate analysis and individual promotion strategy. Anyone who uses the additional links for the promotion of social sites, must keep in mind that tweets, links and likes are only additional promotion instrument and cannot replace backlink building. Direct. Take a search query for which you plan to promote the page and put in into corresponding tags. Diluted. Use query text as an anchor, adding some word from semantic core (or use something universal, suitable in most cases). Non-anchor text. Presented by some common words such as “here”. It’s quite difficult for SE to rank the page by such anchor. 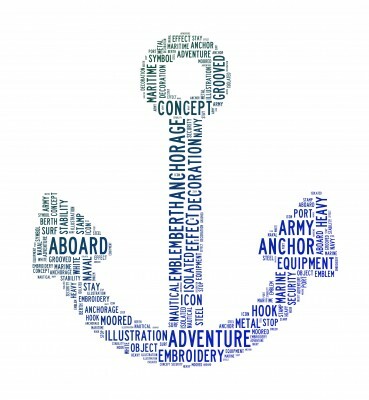 With near-anchor text. It’s a complete sentence that is similar to the title of the ad. But here target key request is surrounded only by reference tags. To make reference profile close to the natural, you need to use all these options plus natural links that appear without your active participation. How to know the proportion which leads to a natural backlink profile? Just look at anchor sheets of successful competitors and try to keep the same proportions. For this, use Ahrefs, Open Site Explorer, SEO SpyGlass etc. The proportions in the anchor sheet of any search query depend on its frequency. LF queries. To get into the top by low-frequency queries, you don’t need to buy backlinks at all (not more than 1–2 links with direct entry for a query). MF queries. 50–60% of direct entries, 10–20% of phrases with another word form, around 10% of diluted with one word, 5% – diluted with two or more words. Don’t forget about non-anchor links. HF queries. Not more than 50% of direct entry, 5–10% of word forms, 5–10% – diluted with two or more words, 10–15% – diluted with one word, near 15–20% of non-anchor links and synonyms. For young sites (up to 1 year): 1 links per day for the 1st month; 1-2 links– for the 2nd; 2 – for the 3rd and 3 – for the 4th. For sites up to 3 years: 1st month – up to 45 links, 2nd – up to 70, 3rd – 100, 4th – 150+. 3 years and oldersites: the same as for the site up to 3 years, but +10%. An old site without reference mass has the same advisable values as the young one. By backlinks analysis. This method includes an analysis of competitors’ backlinks for selected request. The algorithm is as follows: choose top 10 of search results for the selected keyword, determine the number of backlinks each top 10 site and calculate average number of backlinks. If there is Wikipedia in the results, or similar sites, they should be excluded from the calculation since they provide significant error. To calculate promotion cost, use the next formula: C = B * p, where B – average number of backlinks; p – average reference price. The disadvantage of this method is a large error. By search engine statistics. It is clear that promotion cost depends on the request competitiveness. To determine the index of competitiveness, at first you need to introduce some model, for example, the cost of advertising. Link budget can be calculated according to: C = CTR * N * P, where C – links cost; CTR – percentage of users that will pass to the promoted site when entering the search query; N – monthly number of searches for the keyword; P – click cost of to enter the guaranteed displays. Expert method – the most accurate one. If the specialist has already promoted the desired site category, he definitely knows the promotion sum, closest to the truth. Use LinksManagement calculator to find out how many links do you need. Need to ensure that you’ve acquired the appropriate and quality backlinks? Eager to find out the crawling errors detected on your website? 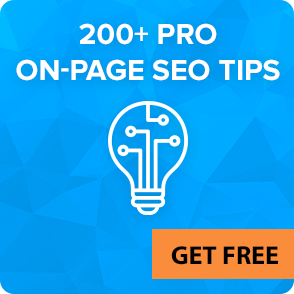 Want to amend every single on-page SEO issue? What strategies are your favorite ones? What tactics and methods are the handiest and efficient for your website? Share your observations obtained results below the article.